How could one get tired of this beauty? The picture was taken this year on October 12. 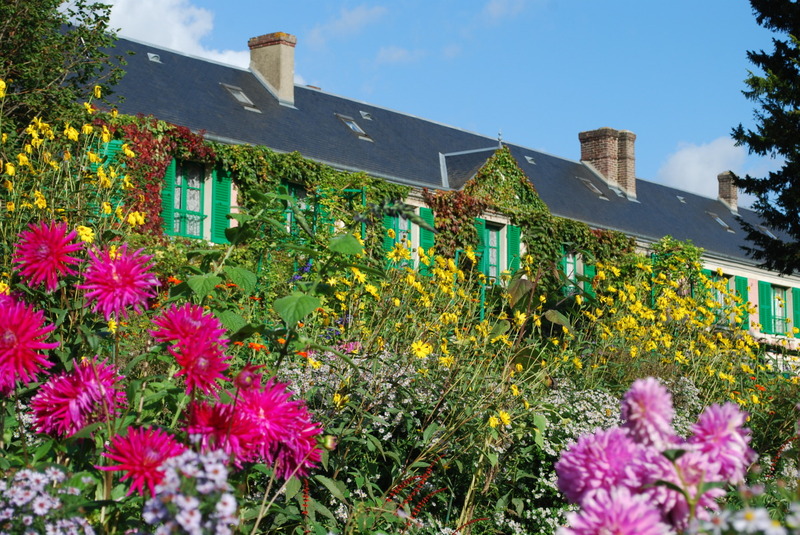 There were still many flowers in full bloom, the gorgeous dahlias, contrasting with delicate asters and cosmos, and the bright yellow helianthus. They provide a fabulous setting to the pale pink house. 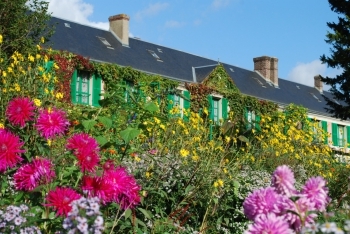 September and the beginning of October are just breathtaking in Monet’s heaven at Giverny.